Volunteer, Sponsor, or Ticket Purchase form now available! Customized gift certificates available! Deadline for Christmas Gift certificates is December 12th, 2011. The Calcasieu Historical Preservation Society issued its annual list of the Eleven Most Endangered Structures, Features and Sites at the November Quarterly Meeting of the Society November 17, 2011. It started as a contest to determine one winning cocktail and one winning after dinner drink. It ended with the attitude that they were each worth celebrating! 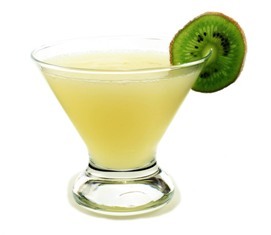 With thanks to 121 Artisan's Bistro and those who took part in the competition and the voting, we proudly announce the Margaret Place Centennial Cocktails and After Dinner Drinks. The 37th Annual Palm Sunday Tour of Homes will feature properties and lifestyles of Margaret Place, Lake Charles’s original streetcar subdivision celebrating one hundred years of its founding. Tour events have expanded to fill the entire March 31-April 1, 2012, weekend. Walking tours both days will showcase the rich variety of bungalows and revival-style homes and gardens in this jewel-box historic district. Special educational exhibits, displays of vintage vehicles, and in-depth interior tours of nine privately owned homes offer unique views of a bygone age. A historically significant, yet modern, sustainable, and friendly jewel-box neighborhood will be showcased during this special weekend celebration. The scope of the Palm Sunday Weekend, 2012 required a significant effort! 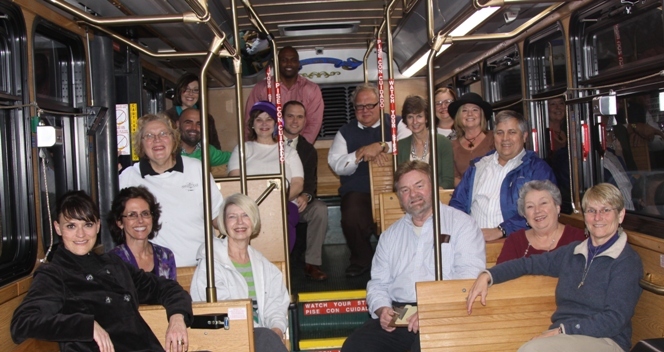 A tremendous team was formed to deliver the 37th Annual Palm Sunday Tour. 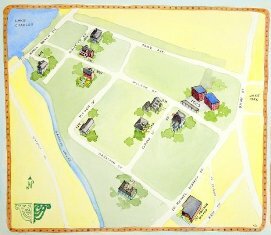 Friend of Margaret Place and Preservation deadline announced. The Palm Sunday Tour of Homes expands in 2012 as part of the 100th year celebration of Margaret Place! In addition to the normal Sunday Tour to be held on April 1st, 2012 and which allows visitors access to select homes, three other events will be held on Palm Sunday weekend! Tickets can now be purchased on-line. 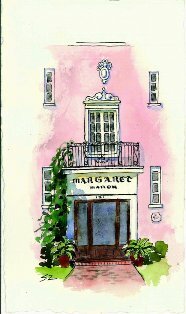 4-6:00, 6-8:00 The Margaret Place Fan Tour and Social is a guided walking and porch/garden/patio tour followed by a social with refreshments, entertainment by The Soul Vacation, and a cash bar. This is an advanced sale/limited-ticket event which is sold out. Tickets remain available for the brunch and Tour of Homes. 9:30 (sold out) ,10:30, 11:30, 12:30 100th Anniversary Brunch. Those purchasing tickets will be given an option of enjoying brunch at 121 Artisan's Bistro during one of four seating options. Space is limited and tickets must be purchased in advance. $25.00. Brunch ticket holders receive access to the homes at 11:00. 11:00 - 12:00 Brunch ticket holders allowed early access to homes. 12:00 - 5:00 Palm Sunday Tour of Homes. Advance ticket purchase encouraged. Tickets may be purchased at ICCS the day of the tour for $25.00 or purchased for $20.00 if purchased by March 1st at Gordon's Drug Store or 121 Artisan's Bistro. CHPS members receive a $5.00 discount. The South Ryan Street Car Re-enactment. 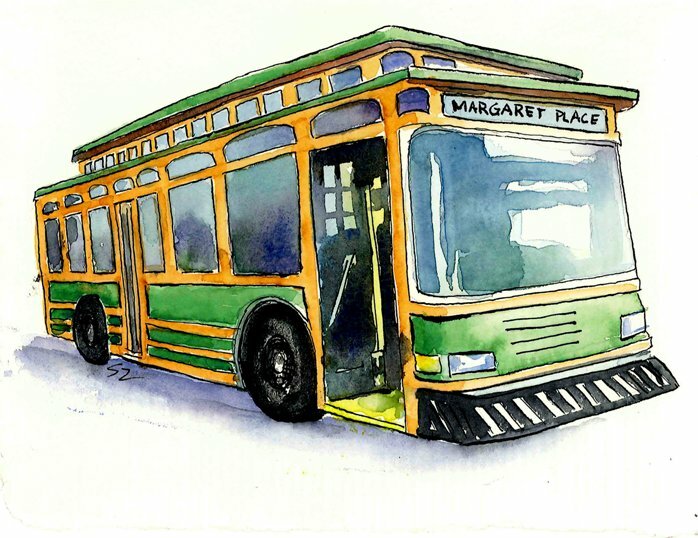 Due to the historical nature of Margaret Place being one of the original streetcar subdivisions, it is quite fitting that the City Trolley will be used to assist visitors who park at the civic center. Details will be posted as to pick-up/drop-off locations along with the schedule. There will be no charge to ride the Trolley. The Palm Sunday Weekend events are a function of a joint committee of the Calcasieu Historical Preservation Society, the Margaret Place Historical District Association, the Southwest Louisiana Convention and Visitor's Bureau, The Arts and Humanities Council of Southwest Louisisiana, The Calcasieu Parish Police Jury, ICCS, and representatives from the City of Lake Charles. The success of a project of this magnitude is dependent on sponsors. Please visit our sponsor page. 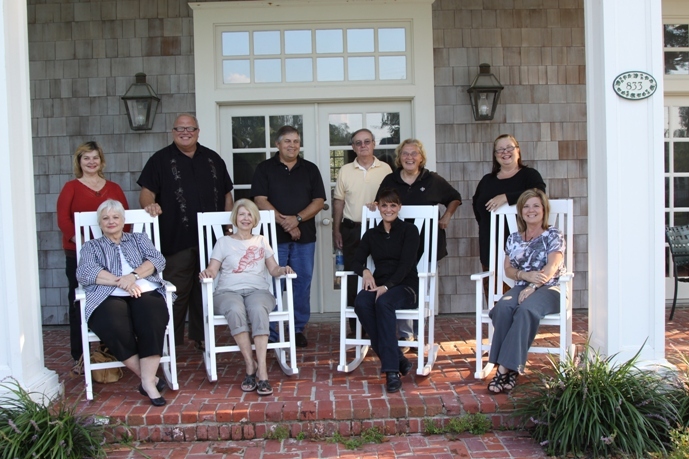 The June Quarterly Meeting of the Calcasieu Historical Preservation Society will be on Saturday, June 18, 2011 at the DeQuincy Railroad Museum. Five houses rescued from the very edge of demolition will be the featured homes in this year’s Palm Sunday Tour of Homes on April 17, from 1 pm to 5 pm, in the Charpentier Historic District in central Lake Charles.